I watch a lot of movies, and sometimes they make me think about game design. 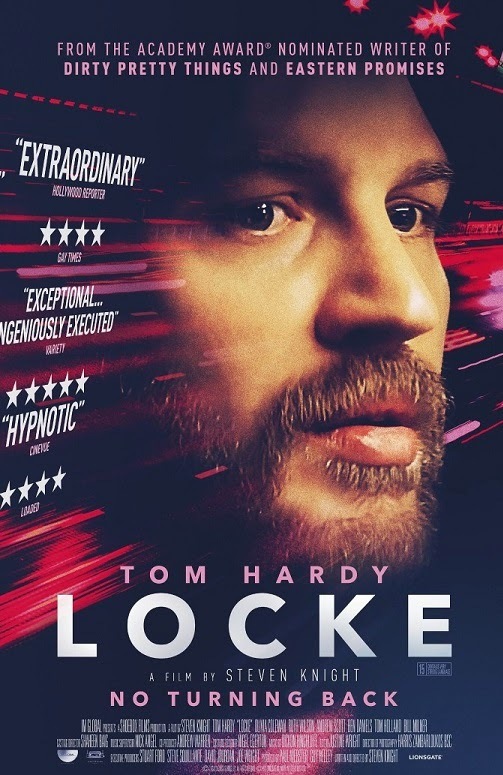 This week on PopMatters, I think aloud about Locke, a single-room film by Steven Knight that takes place entirely inside of a car. Nothing particularly exciting happens to the car or the passenger. The vehicle is not a robot in disguise, it never goes over a sweet jump or careen through a crowd of pedestrians on two wheels. A man, Ivan Locke, goes for a drive. That's it. Even so, the movie is excellent for many of the same reasons the most exhilarating or intensely compelling films are. If cinema can reach evoke a variety of emotions with such extreme limitations, it seems pretty clear that the phrase "cinematic" in the games space is, by and large, a useless term. Of course many of you have known this for some time now, but I don't want to brush aside film because games are somehow entirely unique. Rather, I think we can learn a lot about how to create specific aesthetics with our own extreme limitations by asking the right questions about a film. Knight's work accomplishes so much with so little, and while some might find it gimmicky, I find it inspirational. For those with little budgets or small teams, clearly you can accomplish amazing "cinematic" feats. We need not look exclusively at games for these lessons.